Fabulous Sterling Silver 925 engagement ring with Cubic Zirconia. 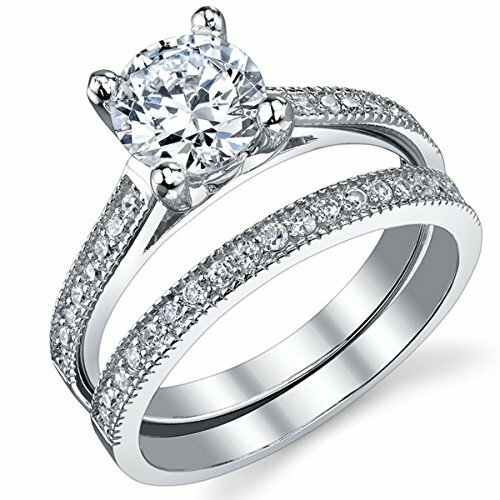 The center stone is a 1.25 carat round and its surrounded with pave set Cubic Zirconia on the Shank. The ring is rhodium plated as well and comes with a FREE RING BOX!! If you have any questions about this product by Bonndorf, contact us by completing and submitting the form below. If you are looking for a specif part number, please include it with your message.